Long term readers may remember my post from almost a year ago about pediatrician Ayala's Laufer Cahana's herbal water. 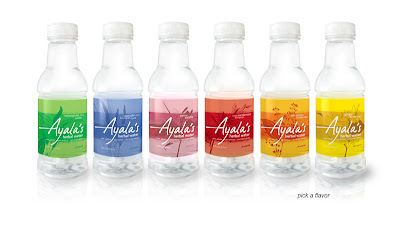 I was particularly irritated by Ayala's representation of her water as a potential healing tonic in her products' original press release given her clear understanding of evidence-based practice (as seen in her blog). Well, I just took a trip around Ayala's Herbal Water website and I've got this to say - other than that original press release she's done a bang up job of not in fact making ridiculous, non-evidence based claims. Ayala, while what I think clearly doesn't matter, I'm going to give you my thoughts anyways. Why not remove the September 18th, 2007 press releases? You've had plenty of great media and reviews since then and as noted, your subsequent press releases have never strayed into making nonsensical pseudo-medical claims. Clearly you care about your ethics and I think the Sepetember 18th press release besmirches the message you're currently trying to promote (and allows loudmouth bloggers like me to a year ago get all huffy). Kudos to you Ayala for abandoning the miracle-in-a-bottle path. Repost: Do you have Scale Addiction? Pretty much nobody checks fast food calories. "I just twoted all over the place"
Why Isn't Canada Banning Canned Soft Drinks? Eat Red Meat - Die? Eat red meat - go blind? Newsflash - Weight's not good for your health! Do you have what it takes to be a great marketer? Guess what? You're probably not fated to be fat.